Air tickets can be booked and purchased at AZAL sales offices, official sales agencies and on the website of the company www.azal.az startingfrom January 21. 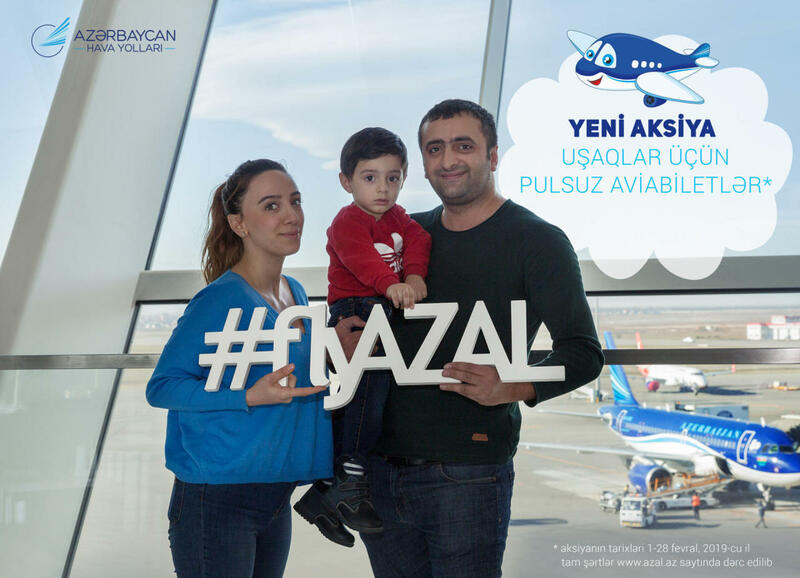 In order to get a free air ticket for a child, parents should contact the Call Center by sending documents of traveling passengers to the email callcenter@azal.az, or go to the official ticket offices of the airline. Passengers can take advantage of AZAL Miles frequent-flyer program within the campaign. Detailed information about AZAL Miles frequent-flyer program is available at: www.miles.azal.az.